Please join the conversation. 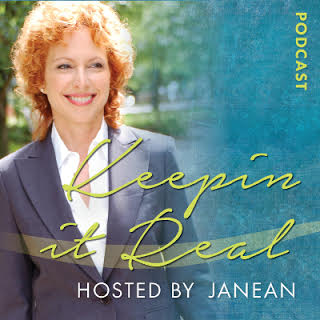 Check out the weekly radio show I host with Joan Newcomb. And sign up for my updates so that you never miss out on a show topic, event or play group that interests you. I invite you to listen every week on Conscious Talk Radio. Be sure to email us questions for the show! What does it mean to live consciously with energetic awareness in daily life? We can access the warmth, acceptance and non-judgment that is universal consciousness. We are all part of that spectrum, as individuals interconnected. There is no time, no space. Accessing the state of potential can help us to allow for new choices in our habitual feelings, behaviors and responses. Joan and I are subtle energy empaths in the field of consciousness. 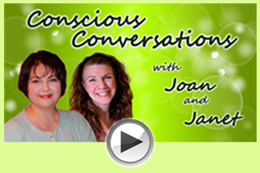 Join us as we talk about our individual and collective evolutions on Conscious Conversations with Joan and Janet. Explore what it would be like to change your rules and realities. Remember, you can always download shows from the archives. Past, present and future need not apply. Janet is a glorious reflection of the Soul. She is a conduit for others to be the same. Read about the consciousness technologies topic of the week, weekly play groups in SE Portland and online classes in my weekly updates. Offering heart-centered play groups where we use our understanding of the quantum realm to transform our day-to-day health and well being, to live into our dreams, to witness miracles. Available for private appointments where we can focus on limiting beliefs you want to shift and creating the life you want to live. Make it bigger and better than you've ever dreamed possible! ©2017 Janet Barrett | All rights reserved.